Warren Brown. Idris Elba. 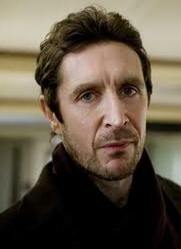 Paul Mcgann. Dermot Crowley. Ruth Wilson. Michael Smiley. Steven Mackintosh. Indira Varma. Saskia Reeves. Detectives and Private Eyes. Police. Drama. Violence. Thriller. Murder Mystery. Made for TV. Detectives and Private Eyes.